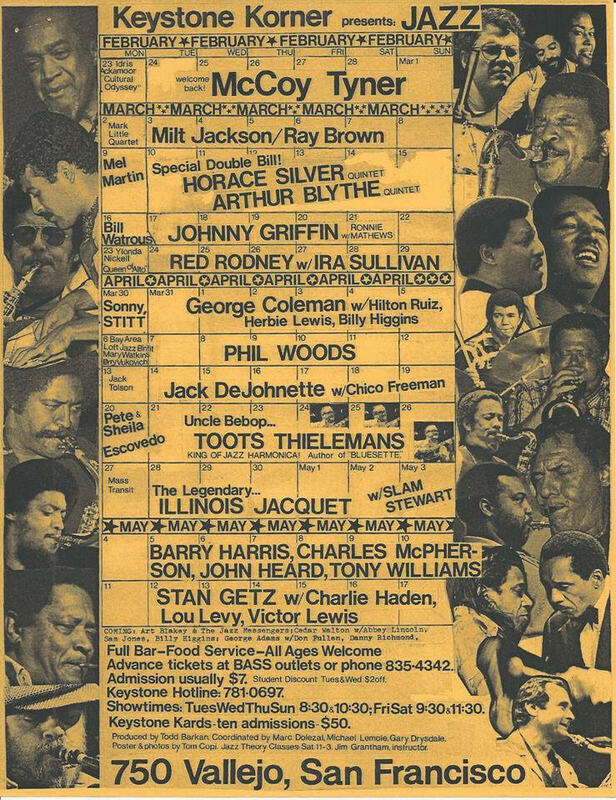 Ask anyone who spent time at Keystone Korner, and they’ll tell you it was far more than a jazz club. From 1972 to 1983, the North Beach venue at 750 Vallejo Street reigned as the preeminent jazz spot on the West Coast, and many musicians felt it had no rivals on the East Coast, either. Rather than emulating New York City’s storied rooms like the Village Vanguard, Bradley’s, and Slugs’ Saloon, Todd Barkan, a 25-year-old pianist with no experience running a nightclub, created an institution that distilled San Francisco’s heady, creatively freewheeling, chemical-fueled zeitgeist to an atmosphere that was distinctly Bay Area. A proudly psychedelic club with walls festooned by hand-painted cosmic imagery, Keystone inhabited a crossroads where Beats, hippies, cutting-edge comics, the New Left, acid rock and devoted jazzheads comfortably intermingled. A typical program might feature avant-garde patriarchs Archie Shepp and Cecil Taylor on a double bill with Robin Williams and Red Foxx, “something that wasn’t happening in New York at that time,” Barkan says. A series of concerts around the region next week mark the 45th anniversary of Keystone’s closing, starting Thursday, July 6, at San Jose’s Café Stritch with Bay Area drummer Akira Tana leading a Japanese organ combo featuring Osaka-based B-3 expert Atsuko Hashimoto (Barkan helped create and book Keystone Korner Tokyo from 1990-1993). The celebration kicks into high gear Friday, July 7, at Santa Cruz’s Kuumbwa Jazz Center with bassist Ray Drummond and percussionist Kenneth Nash (who played Keystone’s opening week), saxophonist Azar Lawrence and bassist Juini Booth (who collaborated with McCoy Tyner on his classic Keystone-recorded 1975 Milestone album “Atlantis”), guitarist Calvin Keys, pianist Benito Gonzalez, and saxophonists Charles McPherson and Gary Bartz, among others. The same prodigious cast plus Akira Tana, pianist Denny Zeitlin, saxophonist Mel Martin, and vocalist Kenny Washington hold forth Saturday afternoon, July 8, at Bach Dancing and Dynamite Society in Half Moon Bay, with the moveable musical feast concluding Saturday night at Pier 23 in San Francisco (minus Zeitlin and McPherson). The three primary venues are also presenting a slide show featuring Keystone photos by Brian McMillen, Tom Copi, and Kathy Sloane (whose book “Keystone Korner: Portrait of a Jazz Club” offers a valuable oral history of the venue). McPherson, who spent a dozen years with Charles Mingus and is arguably jazz’s greatest living alto saxophonist, played the last set at Keystone before the IRS shut it down, and his name remained on the marquee for years before another business took over the space. 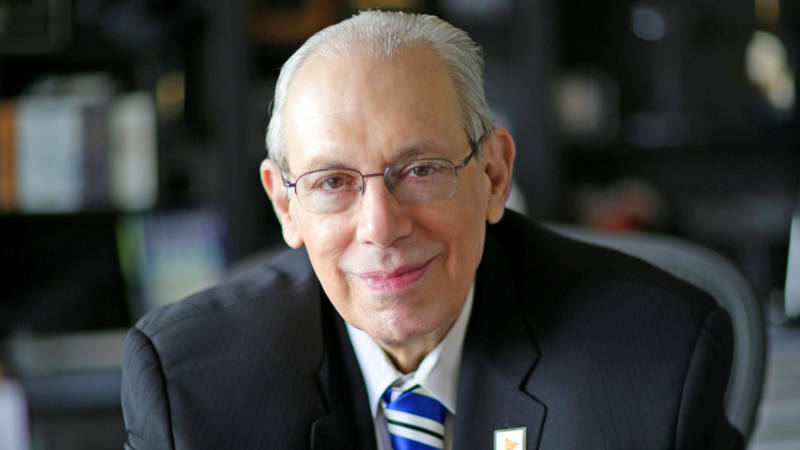 He points out that Barkan’s love of the music and its creators set the venue’s tone, from the beloved doorman Walid Rahman in the front to the soul-suffused kitchen in the back, run by Ora Harris (who managed piano great Geri Allen before her death on Tuesday). 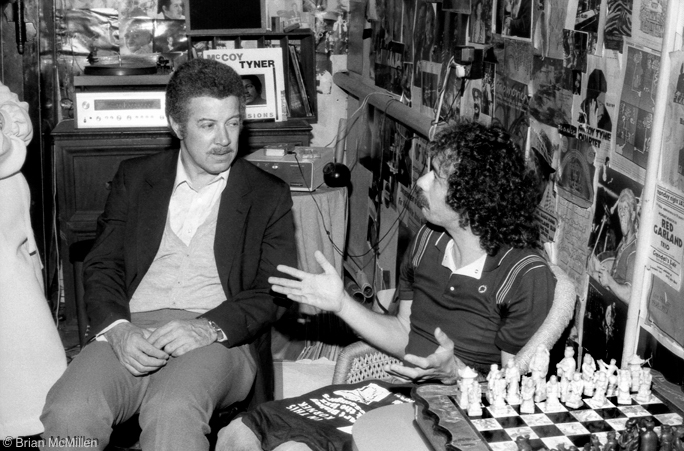 Kenny Burrell & Carlos Santana. 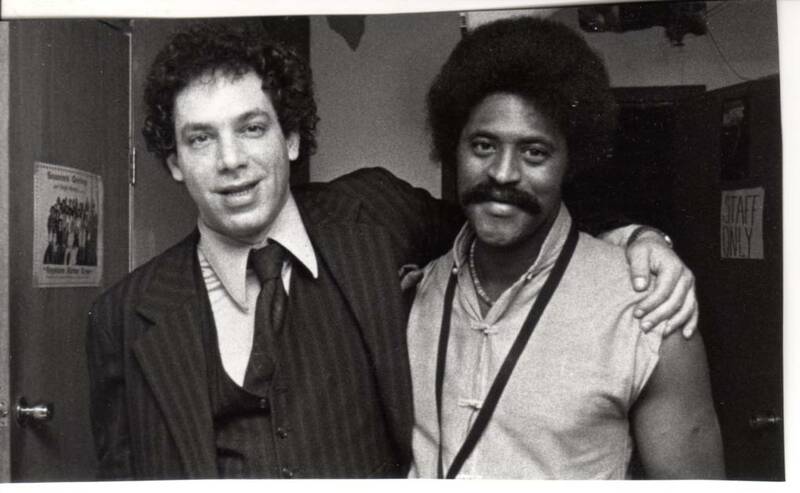 Carlos went to catch Kenny’s show at Keystone Korner, San Francisco, Feb. 9, 1983. One reason the club’s legacy looms large is that so much of the music was documented. During the club’s existence, some of jazz’s greatest artists released live albums recorded at Keystone, most famously Rahsaan Roland Kirk, Dexter Gordon, and McCoy Tyner. But the treasures have continued to flow from the vaults, leading to more than 60 live-at-Keystone albums (see below for a list of Barkan’s favorites). Two Milestone box sets totaling 16 CDs, The Last Waltz and Consecration, cover almost every note played by the Bill Evans Trio at Keystone just days before the pianist’s death in 1980. The club’s larger-than-life presence could make itself felt in surprising ways. In Carlos Santana’s autobiography The Universal Tone: Bringing My Story to Light, he describes a vivid and portentous dream in which he and fellow guitar explorer John McLaughlin are watching kids play soccer when they see Barkan walking across the park with the late saxophone legend John Coltrane, carrying some saxophones and pushing a bicycle. But before Santana can play the spiritual with Coltrane, the saxophonist vanishes. I guess some things never change in San Francisco (though Santana reports conferring with Alice Coltrane about the dream, and she interpreted the stripped bicycle as representing the lack of vehicles for her late husband’s music to reach the people). 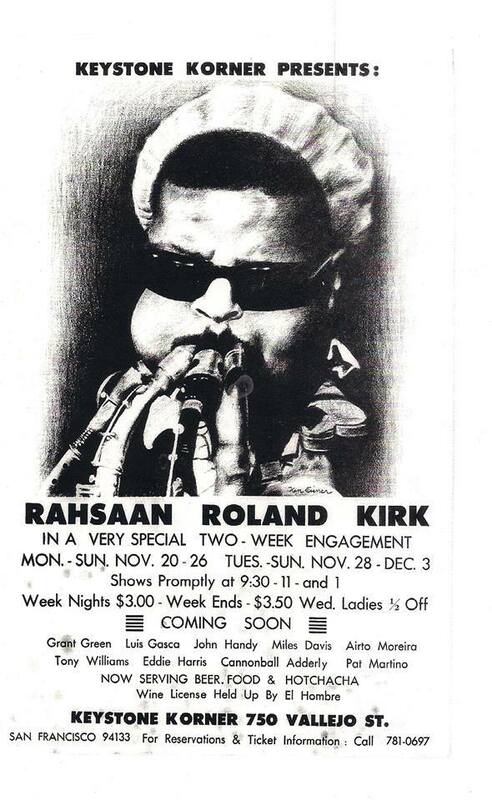 poster for a Rahsaan Roland Kirk appearance at the Keystone Korner. The music never had trouble finding Barkan, who grew up amidst a politically progressive Jewish family in Columbus, Ohio. He was already an avid jazz fan at nine years old when a fateful encounter changed the course of his life, establishing a relationship that manifested itself frequently at Keystone. Riding the bus late in the summer of 1955 to catch a game by the Columbus Jets (the Pittsburgh Pirates farm team), he happened to sit across from a blind 19-year-old African-American man who would come to be known as the incandescent multi-instrumentalist Rahsaan Roland Kirk. It turned out the Kirk and Barkan lived about six blocks from each other, and they struck up a utilitarian friendship. Barkan had started playing the piano, but Kirk didn’t give him music lessons. Rather, he provided an in-depth course of study in how to listen to jazz. What did Kirk get out of the relationship? A handy pair of eyes. “We’d go to record stores and I’d have to read the liner notes on the back aloud,” Barkan says. When Barkan launched Keystone years later, Kirk was one of the first artists he booked, and his classic 1973 double live album Bright Moments (Atlantic) established the club’s international reputation. Barkan’s been in the business of facilitating bright moments ever since, and it’ll be good to have his warm wavelength back in the Bay Area, however briefly. The irreducible fierce fourteen, recorded live at the Keystone Korner. Press Release by Terri Hinte about Keystone Korner 45th Anniversary Concerts in Santa Cruz, Half Moon Bay, and San Francisco, California, July 7 & 8. Keystone Korner Slide Show with live music from the club in 1976 by Dexter Gordon, Max Roach, Bobby Hutcherson, George Cables.